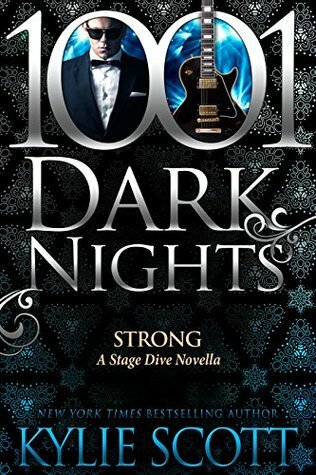 Strong was a short little novella that took place in the Stage Dive world. It was a little slow, unlike its predecessors, and wasn't of the same caliber as the full length books in the series. Nevertheless, I enjoyed being reunited with many of my favorite characters. I just wasn't ready to say goodbye to David, Ev, Mal, Anne, Jimmy, Lena, Ben and Lizzy. 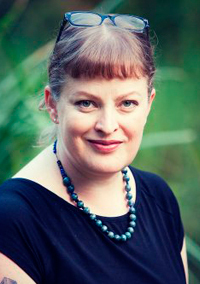 This story revolves around, Martha Nicholson, Ben's sister. She's been a villain in the series, as she was David's first love ands serious girlfriend, who broke his heart when she cheated on him with his brother Jimmy. She also had caused problems in her brother Ben's and Lizzy's relationship. Now she has reformed, and moved from New York to Portland to take care of her nephew Gibson; while her sister-in-law, Lizzy goes back to college. Sam has been the head of security for Stage Dive from the beginning of the group's music career. He's seen something good in Martha from the beginning, despite her many flaws; he's been very attracted to her and in love with her. Like a match to a flame, Martha and Sam being in close proximity on a daily basis, lights the fire for there desires, and there are many explosions!!! 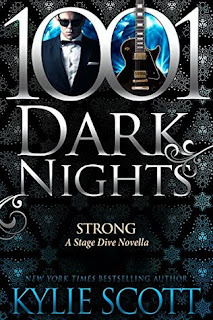 Strong was a good novella, if you are missing the Stage Dive world and all of the beloved characters within the series. 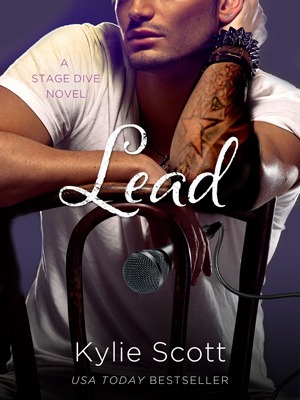 Kylie Scott delivers her signature romance and passion-infused read! The 1001 Nights books always confuse me, and all seem to only work if you've read a series. Great review! I am guessing I would need to read the Stage Dive series before venturing into this one. Sounds like it was a good read. Great review. Always interesting to see an author reform the villain of the series.